I just pre-ordered this from BH. I was considering the smaller unit for $200 less, but wasn't sure if I would be using rails/rig setup with battery and such as part of what goes on the gimbal or not. I figured that it holds more weight and comes with a 2nd focus/zoom wheel that it would allow for better options for a one man band to operate a camera with zoom/focus while moving than the smaller/cheaper one. Thoughts? Anyone think the BMPCC4K wont fit on it? Given that they show it holding a RED, I am hoping it can fit the BMPCC4K. Justin Jackson wrote: I just pre-ordered this from BH. I was considering the smaller unit for $200 less, but wasn't sure if I would be using rails/rig setup with battery and such as part of what goes on the gimbal or not. I figured that it holds more weight and comes with a 2nd focus/zoom wheel that it would allow for better options for a one man band to operate a camera with zoom/focus while moving than the smaller/cheaper one. I like the ground-up redesign of the typical handheld gimbal. I would love to be able to try it out before buying (as opposed to the Ronin-S), as I loved the Crane V2 for the original BMPCC. Looking forward to reading your report on it. I think people are either going to love or hate the new form factor. Dean Fisher wrote: [I would love to be able to try it out before buying (as opposed to the Ronin-S), as I loved the Crane V2 for the original BMPCC. The BMPCC 4K should work with the Crane v2, either mounted upside down, which will display correctly on the monitor though the footage will have to be flipped in post, or with a small extension plate. Upside down would probably require a counterweight, which could be complicating. 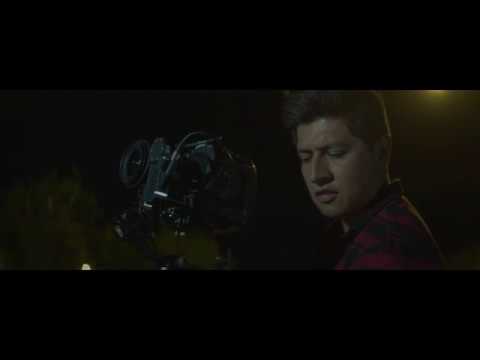 But the weight of the camera is well within the limits of the gimbal. Seems like it could be a bit of a hassle / less-than-ideal. I don’t actually own the Crane 2 or any stabilizer, so I think if this performs well I may spring for the Crane 3. Dean, would you look at the new Tilta as well? I’d like to know how you think it would compare to the Crane 3. Sadly I lost my primary job last week so decided to cancel it. I actually was going to hold on for it.. but then there is another one, the Moza Air X that looks even better. It has a very similar design to the new Crane 3 LAB, but is lighter, made of carbon fiber, and has a few additions that may beat out the Crane 3... depending on price. So it is probably better I wait to see what the price is on that anyway. For the time being I guess I will learn to use my RedKing Steadicam setup. I was going to return it, it only being $200, thinking I would just use the Crane 3 when it arrived, and I kinda think that for most things these new gimbals will do everything, better.. e.g. no needing to constantly touch the pole of the steadicam and deal with balancing (though I know the gimbals also need balancing). 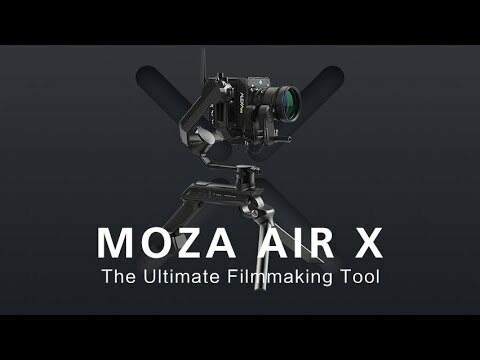 The Moza Air X looks very good but for the bmp4k it dosent have the zoom and focus motors. I have Crane 2 and I love using pocket 4k on it but I will most likely get the crane 3 lab when it comes. Johannes Jonsson wrote: I have Crane 2 and I love using pocket 4k on it but I will most likely get the crane 3 lab when it comes. Nice! Looks like you've made it work with the baseplate/adapter you have there. I'm attracted to the focus motor on the Lab 3, so I think I might hold out for it, if the reviews are favorable. rick.lang wrote: Dean, would you look at the new Tilta as well? I’d like to know how you think it would compare to the Crane 3. It certainly looks like it will get the job done. However, it would take some custom rigging to get a focusing system on there (per Tilta's responses in the comments). We are talking about the Gravity G2X? That's the only one I've seen that's new-ish, unless I'm not seeing a forth-coming product. For the BMPCC4K, it seems like it would be accommodating to the camera's wide right side since you can put the motor on the left or right, though it might limit the I/O ports possibly. Definitely something to consider. The phone app control provided with the Crane 3 seems like it might offer promising advantages like auto-focusing (via the servo). Not entirely sure about that functionality, however. Last edited by Dean Fisher on Sun Oct 21, 2018 9:32 pm, edited 2 times in total. Thanks, Dean. I hadn’t thought about focus being a problem. I saw this used in a recent video from The Slanted Lens comparing the BMPCC4K and the GH5. That begins about 5’45”. 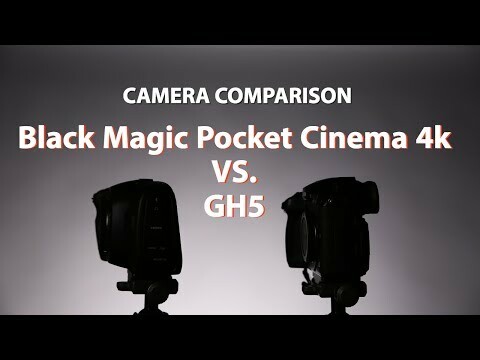 The reviewers preferred the combination of the Pocket4K and the new Tilta Gravity to the GH5 with IBIS. I got the BMPCC4K flying even on an oldest-generation Crane, just using a tripod plate with screw holds mounted sideways as an extender. But the WEEBILL LAB won't work because they skimped on that model having any adjustment horizontally at the arm joint in the back, making an extender impossible to compensate for. Not so on the Crane 3 LAB, but you sacrifice the weight more appropriately scaled for the BMPCC4K on the WEEBILL sadly. But the WEEBILL LAB won't work because they skimped on that model having any adjustment horizontally at the arm joint in the back, making an extender impossible to compensate for. Ack, don't dash my dreams! I was really hoping the Weebill would work with the Pocket 4k. It seemed like a perfect fit otherwise. For an extra $300 the crane 3 lab offers Servo zoom and Servo Focus plus the ability for higher payload the weight is not too much more than the Weebil. ). It wasnt finalized.. so time will tell. But if the durability is good, I think it could be the better option. That it holds as much as the Crane 3 Lab, but more configurable.. and that carbon fiber... really looking forward to the final pricing and review of this unit. Available Q1 2019. Guess that could mean March 29th if they wanted! I'll see where I'm at by that point, but sometimes ya just gotta pull the trigger. There will always be shinier, newer, and potentially better toys announced. That's when we take to eBay! This definitely looks awesome, though. Yah.. I hear you. I am needing a lens before the gimbal though, especially since I havent returned the RedKing SteadiCam yet.. I can probably just live with that for a while and wait and see what happens with this Air X. I still think for almost all situations the Crane 3 and the Air X would be better/faster/easier and offer more options (e.g. spin the camera 360 while walking, time lapse, etc) than the steadicams do. If it is in the $1K range it will be worth it if it also lives up to everything it says it can do and it is durable. My primary concern would be the motors. They say electromagnetic.. which sounds powerful. I dont know though how durable they are, vs the Crane 3 for example. Justin Jackson wrote: Yah.. I hear you. I am needing a lens before the gimbal though, especially since I havent returned the RedKing SteadiCam yet.. I can probably just live with that for a while and wait and see what happens with this Air X. I still think for almost all situations the Crane 3 and the Air X would be better/faster/easier and offer more options (e.g. spin the camera 360 while walking, time lapse, etc) than the steadicams do. If it is in the $1K range it will be worth it if it also lives up to everything it says it can do and it is durable. My primary concern would be the motors. They say electromagnetic.. which sounds powerful. I dont know though how durable they are, vs the Crane 3 for example. I decided to jump in and pre-order the Crane 3 Lab from B&H, so I guess I will report back in November with an update! I'm sorry to hear about your primary job, Justin, and I hope you get a new one sorted out soon. Thank you. I do too! I am going to wait now for the Air X to see how that compares before I make a decision. They both look really good, the carbon fiber of the Air X has me thinking it may be more durable and lighter at the same time, and it looks to be more configurable. Not sure if it has the video transmission bit that the Crane 3 has though.. but I am curious how big of a deal that is.. I do have a 7" Atomos monitor/recorder and another 8" LCD monitor.. so thinking it may not be as important if I can just use a monitor directly plugged in. I also want to understand the motors used for each and how good/durable they really are. The use of electromagnetic motors on the Air X sounds good, but not sure how good they are, and what the Crane 3 has. Basically if I spend $1K or so on something like this, I am hoping it lasts many years and that the motors dont crap out easily/ever. About two months ago I bought a Moza for my original Pocket. I struggled to get it stabilising properly for a couple of days, then it just started twitching involuntarily. I took it back to the main dealer to see if I was doing something wrong, but the tech guy just said they constantly get Moza returns and he is frustrated they still sell them. He swapped it no questions asked for a cheaper Crane+. When I got home the Crane worked as I hoped straight away, and a week later I used it on the project I needed a gimbal for. It performed perfectly. I had read a few rave reviews about Moza gimbals, but my local Moza dealer said they weren't as well made as Crane (or Ronin). Good info Chris. This is the kind of stuff we need to know. I do believe in 2nd chances.. so here is to hoping the specs on the Air X are as good as they claim and when it comes out it lives up to and surpasses its predecessors! I am holding off till reviews now of both I think given my sudden financial demise for the time being. Still need to purchase a lens for my BM4K anyway, so this will give me a few months to wait out the gimbal story. Justin Jackson wrote: I do believe in 2nd chances.. so here is to hoping the specs on the Air X are as good as they claim and when it comes out it lives up to and surpasses its predecessors! I am holding off till reviews now of both I think given my sudden financial demise for the time being. Still need to purchase a lens for my BM4K anyway, so this will give me a few months to wait out the gimbal story. I'm hopeful too... I sent Gudsen a request for a review copy... it was worth a shot. If it DOES shape up as nicely as it promises, it would be a good match for any of the three cameras that I'd expect to fly on it in the near term. Which means sometime between now and March. Agreed. Shoot.. I should see if they will send me a review unit.. it may arrive before my 4K! Chris, thanks for the user experience. Something where media reviews often fall short unless you read the comments. rick.lang wrote: Chris, thanks for the user experience. Something where media reviews often fall short unless you read the comments. That's the one down side to asking for a review unit, because when I request one I also let them know which journal I work for, and knowing that might entice them into offering me better customer service as well as pre-testing the unit they send to make sure that I'll get the best experience possible, which skews the customer service. Good point, Rakesh. Both good and not-so-good units may come from the same production run, although typically review units are pre-production or limited first run units that will receive extra QC before going out the door. They may not have all features in place, but it’s usually going to work well for you. If not, the manufactures will suffer embarrassment and lost sales. Does anyone know if the Crane 3 Lab can power the P4K? I've seen a YT video showing that the Moza Air 2 can power the P4K. If the Crane 3 Lab can, I would get that gimbal instead. I believe it can but you would need the adapter.. possibly like most of us cut the AC adapter that comes with it and splice in an adapter that plugs in to the crane 3 in some manner. Everyone seems to ignore Feiyu-Tech gimbals (or not realise that they exist). I have the earlier a2000 model (up to 2.5kg) and it works a treat. They now have a new model that holds up to 4kg and with a range of features: https://www.feiyu-tech.com/ak4000/. Australian Image wrote: Everyone seems to ignore Feiyu-Tech gimbals (or not realise that they exist). I have the earlier a2000 model (up to 2.5kg) and it works a treat. They now have a new model that holds up to 4kg and with a range of features: https://www.feiyu-tech.com/ak4000/. I just looked up the Feiyu-Tech AK4000. It looks like a pretty good choice. And it comes with a lot of controls, and a dual grip handle system. All for $599. Which is a pretty competitive price. Following my experiences with the FeiyuTech a2000 model, I would most likely get the AK4000 if I wanted a more capable gimbal for heavy camera gear. I'm not sure of the kit you looked at, but I like that they now provide follow focus wheels etc that can be controlled from the handle like other brands. I also like the fact that they continue to use 18650 batteries and not propriety battery packs like others are starting to do. And if you want a double handle like some are now providing, that's easy to do with inexpensive accessories. I did that with my a2000 and it works well. Woa..that is impressive.. only $600. I didnt see option for zoom/focus control.. can it do both? It doesnt look as capable but for the price, it doesnt look bad. Just not sure the $300 cheaper price is worth it? That it has 4 18650s.. I wonder how long that could power the camera, monitor, mic and gimbal? One thing I am still blown away with on the BMPCC4K is that you can swap batteries and the camera battery takes over with no interruption. That is a really big deal that I dont think a lot of people realize. If gimbals started adding this option in some manner... like a built in rechargeable cell that gives about 5 minutes of power so you can swap batteries without being interrupted, that would be very slick. Justin Jackson wrote: Woa..that is impressive.. only $600. I didnt see option for zoom/focus control.. can it do both? It doesnt look as capable but for the price, it doesnt look bad. Just not sure the $300 cheaper price is worth it? That it has 4 18650s.. I wonder how long that could power the camera, monitor, mic and gimbal? FeiyuTech have a range of accessories for the gimbal: http://www.feiyu-tech.com/parts/, including follow focus wheels etc. The battery life is stated at 12 hours, if you look at the website link that I provided.